She was one of the most beautiful and envied women in the world... and one of the loneliest. 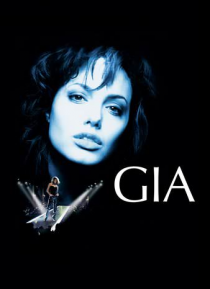 Angelina Jolie stars in this drama based on the true story of Gia Carangi, the supermodel who dominated the international fashion scene of the late '70s. On magazine covers, she was a beautiful, confident woman who embodied glamour and the lifestyles of the rich and famous. But behind the cameras, she was … an insecure girl who turned to drugs when she realized that fame couldn't bring her happiness.